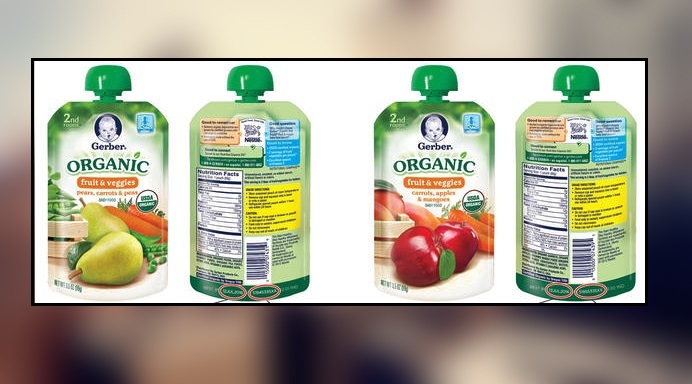 NEW YORK — Gerber Products Company issued a voluntary recall Thursday of organic food pouches because of a spoilage risk. According to the Food and Drug Administration, a packaging defect during the product's transportation may result in spoilage. The company said it's working to receive the four affected batches that were sold online and in retail stores nationwide.